This is at a local organic farm around the corner from my house. No I don’t live in rural farmlands it just happens to be in a part of town that we were driving through and these guys obviously have a fair patch of earth that they own. In any case you can purchase all your veggies and other good things here. I pulled over on side of road and snapped this shot, simply because of the color of the clouds as sun was setting behind me. The colors were magical. 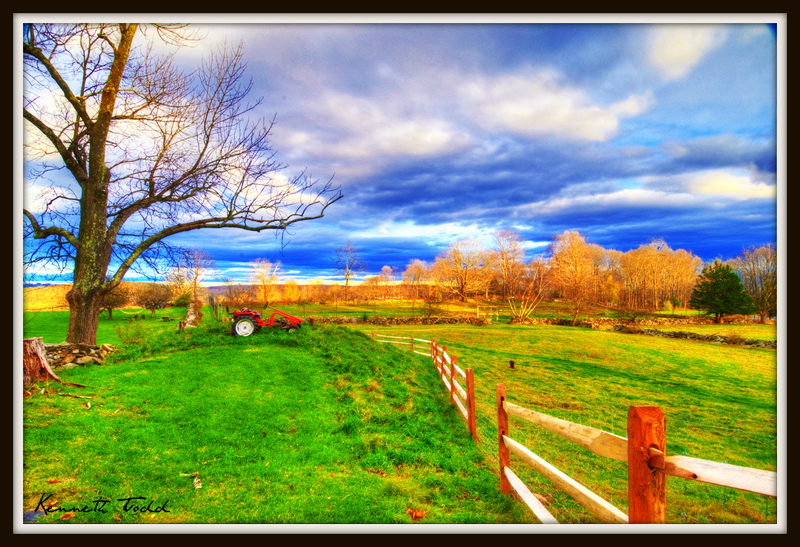 This is an HDR image made up of 6 individual images. Little did I know that the next day I would also be on a farm, but about an hour away. Maybe message for me there. The Farm Life = The Simple Life!